In the 2018-19 season, Mr. Halfvarson makes his role debut as Tirésias in a new production of Enescu’s Oedipe conducted by Marc Albrecht at Dutch National Opera and returns to Washington National Opera to sing Prince Gremin in Robert Carsen’s production of Eugene Onegin. He will also sing Hunding in concert performances of Die Walküre with Sir Simon Rattle’s leading the Sinfonieorchester des Bayerischen Rundfunks. The 2017-2018 season saw Mr. Halfvarson star as Daland in a new production of Der fliegende Holländer at Bergen National Opera conducted by Eun Sun Kim and The General in a new production of Prokofiev’s The Gambler at Opera Vlaanderen. Concert appearances will include Hagen in Götterdämmerung with the Hong Kong Philharmonic Orchestra conducted by Jaap van Zweden to be released on the Naxos label in Fall 2018. In recent seasons Mr. Halfvarson gave acclaimed portrayals of Hagen in Götterdämmerung at Wiener Staatsoper, the Washington National Opera, and the Gran Teatre del Liceu. He also performed at the Royal Opera House Covent Garden in Damiano Michieletto’s production of Rossini’s Guillaume Tell, Puccini’s Manon Lescaut, and Wagner’s Das Rheingold and Siegfried, all under the baton of Antonio Pappano. He participated in a critically acclaimed Ring in concert at the BBC Proms conducted by Daniel Barenboim. He has performed in numerous new productions as the Grand Inquisitor in Don Carlo, including at the Salzburger Festspiele, the Metropolitan Opera, the Royal Opera House, and the Teatro alla Scalla. In addition, he made his role debut as Prince Yuri in Rimsky-Korsakov’s Legend of the Invisible City of Kitezh, which garnered effusive reviews, and appeared as Hunding in Die Walküre at the Gran Teatre del Liceu. Other concert performances saw him in Act I of Die Walküre with Sir Antonio Pappano’s leading the London Symphony Orchestra, as well as the title role in Bartók’s Bluebeard’s Castle with the New World Symphony in Miami under the baton of Michael Tilson Thomas, Hagen in Wagner’s Götterdämmerung at the Bayerische Staatsoper in Munich, Gurnemanz in Parsifal at the Gran Teatre de Liceu in Barcelona and Wagner’s Ring at the Los Angeles Opera. Eric Halfvarson made his professional debut in 1973 and was a founding member of the Houston Opera Studio. During the 1980’s he appeared with many of the foremost US opera companies including San Francisco, Chicago and Dallas and a decade later was judiciously adding many of the Wagnerian and Strauss roles that serve as his calling card internationally today. Soon thereafter he made debuts and has established long, ongoing relationships with the Metropolitan Opera, Staatsoper Berlin, the Bayreuth Festival, Bayerische Staatsoper, Opera de Paris, Wiener Staatsoper, Teatro Regio di Torino, Buenos Aires’s Teatro Colón, Barcelona’s Gran Teatre del Liceu, Teatro Real de Madrid, Valencia’s Palau de les Arts and the Royal Opera Covent Garden. In summer 2009 Mr. Halfvarson took part in filming a Blenkov & Schønneman production of Mozart’s Don Giovanni directed by Kaspar Bech Holten. The movie, filmed in Budapest, and shown at film festival around the world was released in Denmark in April 2011. Recent DVD releases include Don Giovanni(Pappano, Opus Arte); Götterdämmerung (Levine, DG); Die Walküre & Siegfried (de Billy, Opus Arte);Don Carlos (Pappano, EMI); Rigoletto (Downes, Opus Arte) and Boris Godunov (Weigle, TDK). 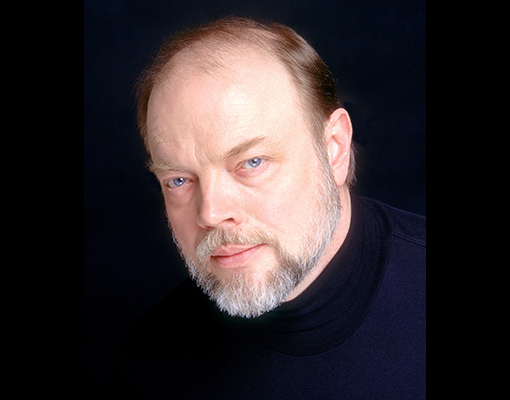 Mr. Halfvarson has also recorded for Chandos, EMI, Erato, New World Records and Orfeo. In addition to his stage performances, Mr. Halfvarson is a respected voice teacher and university lecturer. He currently makes his home in Barcelona.